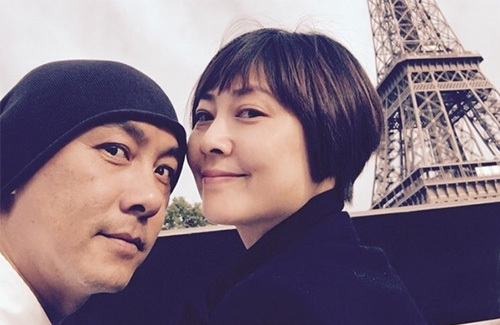 In love for 18 years, Dicky Cheung (張衛健) and his wife Jess Zhang (張茜) are the epitome of a loving couple. In 2008, Jess suffered a miscarriage—their daughter’s heart suddenly stopped beating inside the womb, and Jess had to undergo an emergency c-section. The couple were heartbroken, and their souls torn apart. It took years for Jess to recover from the loss—and many more for Dicky to forget the pain. In a recent interview, Dicky opened up about their struggles after losing their daughter. He said, “I gave Jess everything I had—my mind, my cells—all for her. I wanted to use the shortest amount of time to heal her 100 percent.” Even if it would make her happy for an hour, or even 15 minutes, Dicky was willing to do it for her. It was that very seminar about spiritual healing when Dicky realized that he had never recovered from the loss of his child. From here on, he urges others who are suffering from their same experiences to not neglect the father—for he too would suffer just as much. @llwy12 Why not try for another child? Adopt?